HZS120 series concrete batching plant,a kind of machine widely used in different construction project, is composed of aggregate batcher concrete mixer cement supply system water supply system cement weighing system water weighing system and control system. CamelWay HZS120 concrete batching plant performs strong mixing ability, better mixing evenness with higher efficiency. It is highly used in construction projects and precast concrete unit factory, etc. The company was found in 1983. In 2000, the company passed ISO9001 Quality System certification. 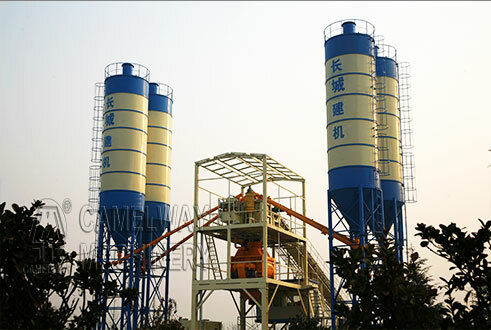 The company has four factories,380,000m2,32 workshops, and over thirty-three years concrete mixing machine produce experience.If you want to know more information about the concrete mixing station or buy it, you can contact us. This entry was posted in Solution and tagged batching plant by camelway. Bookmark the permalink.